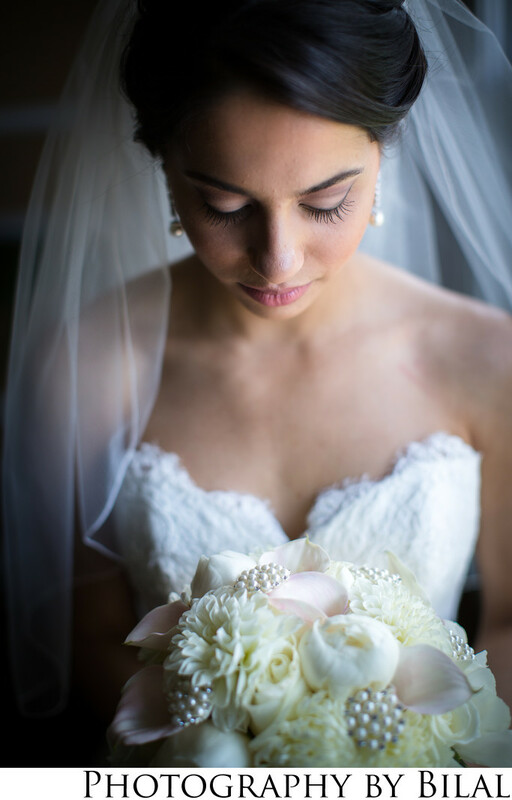 I captured this beautiful photo of spanish bride Olivia at her home in Ewing NJ. There was some very beautiful soft window light coming in from her living room window. I had asked her to stand next to the window and look down at her bouquet when i captured this image.